There are some Real Housewives cast members who are absolutely perfect for the shows that they're on, but there are some ladies in the franchise that are ideal cast members in general. I think that there are a bunch of Real Housewives who could pull off transferring to another show for a season. I'm not saying that they should just jump ship and abandon the show that they call home, but I picture it to be reminiscent of a study abroad program where the ladies go to another show in a different city for one season. There are some women who I think would do very well making some cameo appearances on another Real Housewives series. I can totally see some of these ladies gelling well with the cast members on another show and really becoming a part of the fold. And then there are others that I would just love to watch shake things up and cause a little bit of trouble for the women of another city.At the very least, it would be such an interesting social experiment to see how the queen bee in one franchise is able to hold up as the new girl in another show. Here are the ladies I think could pull off a Real Housewives transfer season. 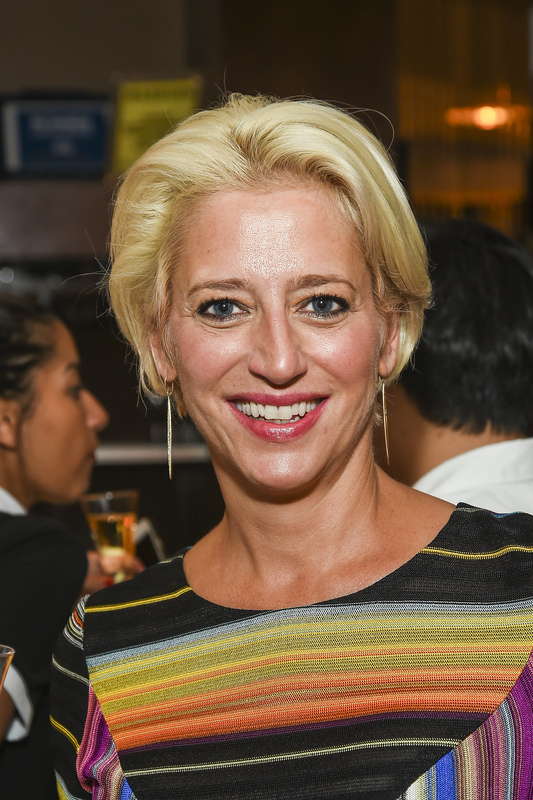 Dorinda is just so New Jersey, and I would know because I am too. Her mannerisms, her gestures, even the way she talks is just so reminiscent of the Garden State. Dorinda even knows Melissa Gorga and Teresa Giudice, so that would help her settle in if she went over to Real Housewives of New Jersey for a season. I can't help thinking that the Real Housewives of Orange County ladies are a little too wild for Heather. Heather is more relaxed in her demeanor and way over the top when it comes to her quest for style. She would definitely fit in well with the women f Real Housewives of Beverly Hills. Brandi is not at all shy about her pursuit of younger men, so why not hang around some women just like her on Real Housewives of New York City? Her party girl personality would fit in perfectly with those ladies. Everyone knows that they love to turn up all the time. Erika has too much personality to be on Real Housewives of Beverly Hills. On the other coast, the Real Housewives of New York City cast is full of loud personalities and Erika would fit right in. Plus, there are so many great clubs in New York where Erika Jayne could perform her music. Bethenny has a long history of friendship with Kyle Richards and she has already appeared on Real Housewives of Beverly Hills, which was pretty explosive to say the least. It really would make sense for her to come back to the show. The women from Real Housewives of Potomac would be pleased to have NeNe Leakes around to teach them how to throw shade properly. These new Housewives could really use some guidance from a pro. Teresa actually has a lot in common with the Real Housewives of Atlanta ladies. They are constantly creating new businesses, promoting them whenever possible, and they can hold their own in an argument. Plus, she could bond with Phaedra Parks since both of their husbands are in the same prison. Dina moved to California, so it just makes sense to say that Dina should join Real Housewives of Beverly Hills. She would be away from her own family drama (for once), her pets could play with Lisa Vanderpump's, and she could bond with Kyle Richards over the fact that they both have sister drama. Jacqueline is all about airing other people's dirty laundry and throwing some super scathing insults. I would love to see her hold her own with the Real Housewives of Orange County cast. She and Kelly Dodd going toe to toe would be such a dream to watch. Pretty much no one on Real Housewives of Orange County likes to admit to any mistakes ever let alone actually issue an apology. Lisa would set them all straight and tell them all to "call it out." As the only original Real Housewife remaining, I feel like it would make sense for Vicki to appear on the newest show in the franchise: Real Housewives of Dallas. She could show the ladies the ropes of being a Housewife — and have a dose of humble pie by being the new woman in a different city. I definitely think I'm onto something with this one. The fish out of water scenario would make for amazing television.